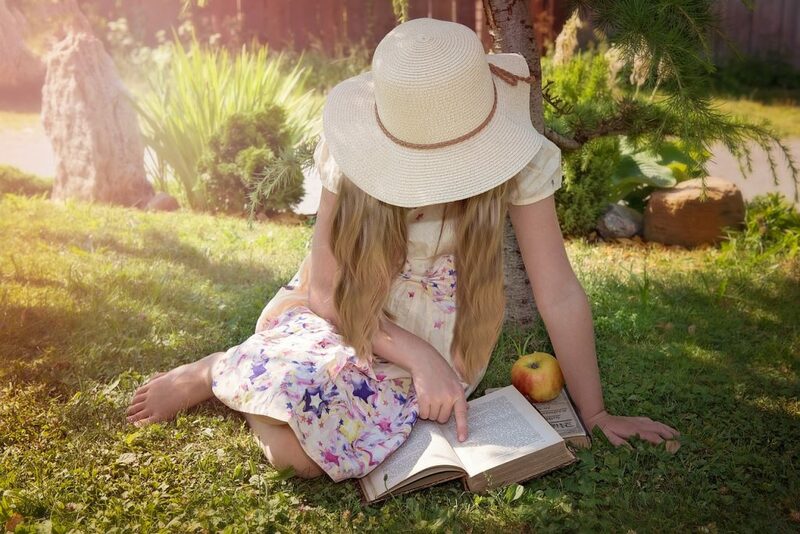 Looking for books for 12-year-olds, to read together or to give to your tween as a gift? Here are 12 of our family’s favorite books for 12-year-olds, some are classics, some brand new. I don’t know about you but I’m in awe every time I walk into a bookstore. So many up and coming authors writing so many truly outstanding books. So many classic books that are so well written. I’m sharing these amazing, unforgettable, compelling books for 12-year-olds because I love to read them too. 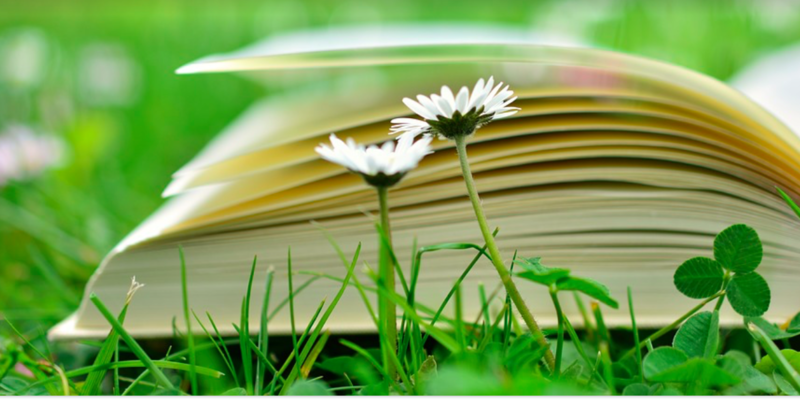 Even though it’s hard to imagine a 40-something mom reading books for 12-year-olds, these are books that I’ve read to myself, read to my kids, and that I also love to re-read. I like people to **buy** books to support writers. I also like people to get books from the library to kill fewer trees. Look for these 12 books for 12-year-olds at your local library or buy them in a digital format. If you’ve read or decide to read any of these books for 12-year-olds, I’d love to hear your thoughts about them. 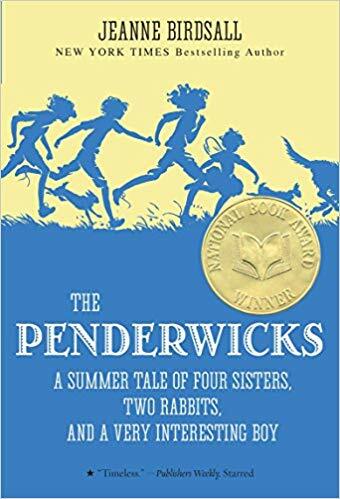 This is a charming book about four motherless girls, two rabbits, one dog, a lonely boy named Jeffrey and a distracted but loving widower named Mr. Penderwick. The Penderwicks is the first on our list of great books for 12-year-olds but it’s actually a great book for readers of any age. This is one of the first chapter books I read to my littlest, when she was six years old. And we’re eager to read it again. The five Penderwicks and their dog Hound go to Arundel for their summer vacation. Despite a dangerous encounter with a bull, Mrs. Tifton’s obsession with her gardens, and Dexter Dupree’s unkindness, Batty, Jane, Skye, and Rosalind have the time of their lives. Many tears are shed. Many mistakes are made. Much worry is had by all. Have a handkerchief by your side when you read it. You’ll need it for the tears. Or to channel Jane Penderwick and effect a rescue in a hot air balloon. Now that Jeanne Birdsall has written several sequels, you can also buy a 4-book boxed set, an awesome set of gift books for 12-year-olds or eager readers of any age. The story of four gifted but lonely children, two adults with noses like vegetables who are now adults, and twins, but were separated at birth, and a fabricated state of emergency. The Mysterious Benedict Society is a brilliant, charming, disturbing, compelling, and moving young adult novel. I thought it would be too old for her. I was wrong. She liked it so much that she and her 12-year-old brother immediately and eagerly listened to the audio of the second book in this series together when the print book wasn’t available at our local library. 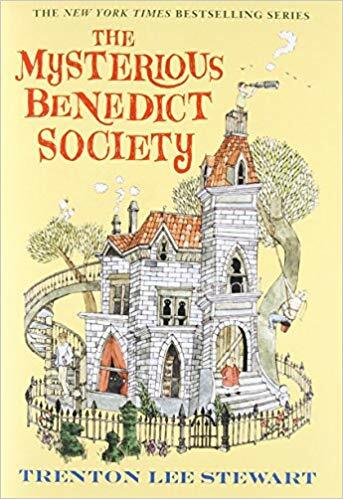 The entire series of The Mysterious Benedict Society books, which is also now available in a boxed set, are fabulous books for 12-year-olds. This story of a motherless young girl who is born in India but is sent to boarding school in England grabs at your heartstrings from the very first sentence. The reader laughs and cries along with little black-haired green-eyed Sara Crewe, who is one of the most compelling and best drawn characters in children’s literature. I can’t tell you how much I love this book. 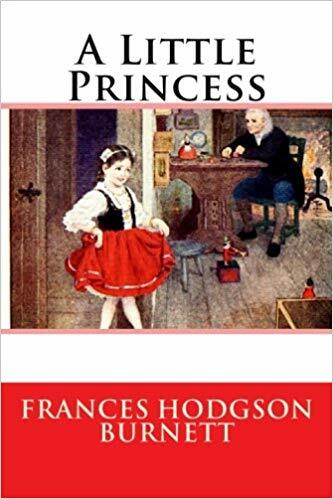 A Little Princess is a masterpiece of story telling, character development, injustice, poverty, cruelty, and kindness and redemption. Read this book! Then read it again. 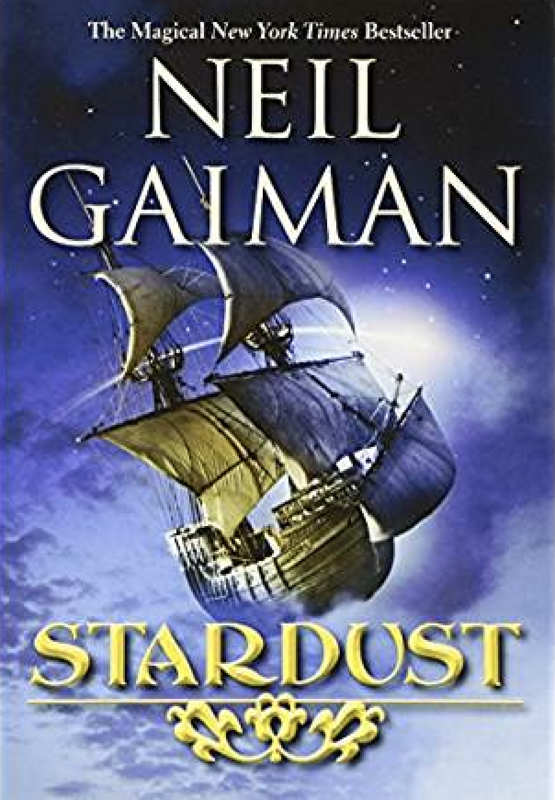 Stardust is a lyrical, complicated, and utterly brilliant fairytale by Neil Gaiman. Stardust is about a young man named Dustan Thorn who goes on a quest for a fallen star to win the heart of the young woman of his dreams. His journey into Faerie becomes perilous, as several others are also hunting for Star. I love everything Neil Gaiman writes. This book is an amazing read for kids and grown-ups alike. My 12-year-old and I really loved this book, though I may have, um, skipped over some of the more sexually explicit parts (be forewarned) when I was reading it aloud to him. Homer Price is a capable young man who lives in Centerburg. He catches robbers, helps his bakery-owning uncle with his newfangled machinery, and lights fires by rubbing sticks together while dressed like an Indian. Homer Price also has a pet skunk. What better pet could a young man have?! This middle grade novel, replete with bad guys, edible fungi, and an epic yarn contest, is wonderful. 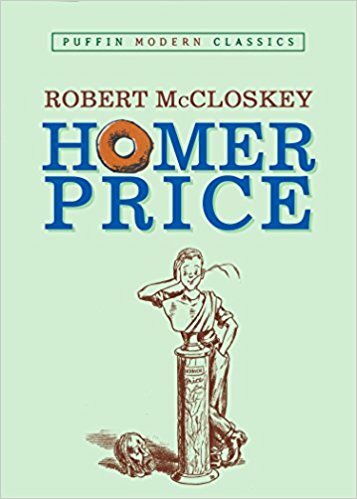 Homer Price is quirky and crazy and totally heartwarming. I remember reading it as a kid. And I’ve loved re-reading it with my kids. 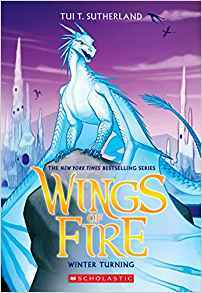 Another slam dunk in the Wings of Fire series, Winter Turning is the story of an angry IceWing dragon on a quest to find his brother, who has been kidnapped by Queen Scarlet. Much to Winter’s surprise, he can’t get rid of his three friends, Quibli, Kinkajou, and Moon, who insist on leaving Jade Mountain to help him. Brought up to believe that IceWings are superior to every other dragon tribe, Winter is confused by his feelings towards his three new friends. Wings of Fire is a fabulous series for 12-year-old readers (though, interestingly, I think the first book is the least well done of the lot). These books are compelling, clever, and with just enough unexpected twists to keep the reader totally intrigued. When he tries to say his full name to humans, they think he is clearing his throat. Elves like him are so clever that humans despise and persecute them. “Born lately,” Yorsh suffers the loss of his home and his family, only to find himself shivering with cold, wracked with hunger, and on the verge of death. The world he is born into is one of strife and rain and hatred. A prophesy suggests that he will not die. But his is a life of loneliness, confusion, and desolation. The Last Dragon is full of sadness and joy, hope and despair, kindness and cruelty. 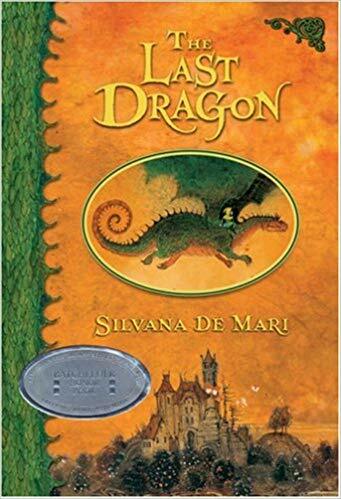 Despite the hunger and unkindnesses, and the many tragic deaths, The Last Dragon (which is called The Last Elf in Italian) is a beautiful book and a joy to read. Unfortunately it seems to be out of print in English. The best way to read it may be to listen to the audio book. Prince Khemri is arrogant, entitled, and completely inexperienced. He has been programmed with superhuman enhancements and grown up to believe he is someone special, a prince who could some day become Emperor and join the Imperial Mind. He quickly finds out that he is one of millions of other Princes, and that they all want to kill him. My son and I both really enjoyed this book. My husband, who loves both science fiction and fantasy, hated the part of it he heard us reading aloud. My daughter, who is a big sci fi and fantasy reader, also didn’t like it. 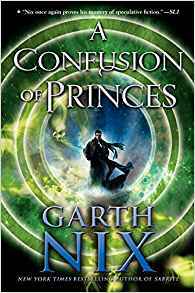 I’m not sure why they disliked it so much, but I thought A Confusion of Princes was a well done, well written book and a good choice of books for 12-year-olds. 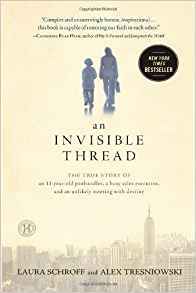 The true story of an unlikely friendship between a lonely white advertising saleswoman named Laura and a starving African-American boy named Maurice, An Invisible Thread had me in tears from start to finish. I read it aloud to my 12-year-old, who also really liked it and learned from it. The book weaves the story of Laura Schroff’s difficult childhood on Long Island with the story of Maurice’s struggles growing up the son of a drug addict in subsidized subhuman housing in Manhattan. When Laura was growing up, her father would come home from his job as a bartender drunk and in a blind rage. Nunzie would wake up her brother Frank, and the rest of the children, by shouting insults. For no discernible reason but his own mental instability, he terrorized Laura’s mother, Laura, Frank, her sisters, and even her littlest brother. One day her father smashed every one of Frank’s sports trophies. Another time he insisted on driving drunk in a white out snowstorm and nearly killed all of them. Though Laura manages to describe her father with forgiveness and compassion, I am horrified by how he treated his family, how little her mother did to protect her children from his drunken and uncontrollable cruelty, and how much Laura and her brothers and sisters (especially Frank) suffered because of it. But Maurice’s childhood is even worse. He tells Laura one day that he has never seen food in the small refrigerator in his apartment. His mom is too busy turning tricks and selling drugs to get money for crack to pay attention to whether her children have anything to eat. Maurice shares a one-room apartment with as many as twelve people at a time: his uncles (all addicts and drug dealers), his sisters, his mom, and random strangers or friends of his family who come over to do drugs. He has one set of clothes. Anything he owns gets stolen. He has no bed time, no routines, no way to tell what time it is. He goes to school exhausted and spends his time after school begging, hoping to get enough spare change to buy himself something to eat. Though his grandmother is loving, the cards are stacked against Maurice in almost every way imaginable. But Maurice is a bright young man with a smile that lights up his whole face. That day she passes him on the street and then turns around and goes back, Maurice and Laura go to McDonald’s. Then they walk through Central Park and get ice cream. He tells her he likes to play video games. He is polite and serious and grateful for the food. Their friendship is mostly defined by their weekly meals together at the beginning. But then Laura starts packing sandwiches for Maurice and leaving them with her doorman. And she takes him places: to a ball game, to her sister’s house outside the city. My son and I were both sorry when Laura got together with Michael and I cheered when they got divorced. That Michael showed no interest in learning anything about Maurice was a big red flag for me as she described the giddy beginnings of their relationship. That Laura let him win the argument about not having Maurice join them for holidays (because it wouldn’t be appropriate, in his words) broke my heart. I hated Michael right from the beginning. She describes having so much fun with him and falling in love with him. But as an outsider looking in, I was left feeling like Michael was a racist self-centered rich boy who was too selfish to love and appreciate Laura for who she was. It’s hard for me to forgive her for not standing up to Michael. “a mother longing for a child and a child longing for a mother. That longing had nothing to do with umbilical cords or DNA. It had to do with two people who needed each other and who were destined to meet on the corner of 56th Street and Broadway. Every Monday, that mother got to know her son, and that son learned about his mother. 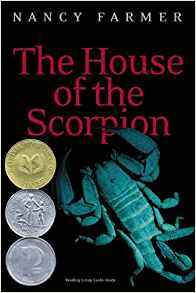 The House of the Scorpion is among the most haunting and interesting books for younger readers I have ever read. Well written, fascinating, and deeply disturbing, this novel won the National Book Award and the Newbery Honor for good reason. There’s so much darkness in it, including child abuse, drug addiction, and cruelty, that I think this is a book best read WITH your 12-year-old. The book’s main character, Matt Alacran, lives in Opium, a nation ruled by El Patron that lies between Aztlan (what was once known as Mexico) and the United States. He understands from a very early age that he must remain out of sight. He spends long hours by himself daydreaming and imagining the world he cannot be part of. Matt does not understand why he is kept hidden but he does understand everything Celia—the woman who looks after him as best she can while most of her time and attention is taken up cooking for the Estate—tells him. The premise of this book feels particularly timely as the use of heroin is on the rise in the United States and the prevalence of heroin has more than tripled in southern Oregon, where I live, in the last four years, according to local police statistics. Matt’s life is full of horror, unhappiness, and utter confusion. No one tells him the whole truth and it takes him years to piece together what is really going on. I won’t spoil any of it but I will say that it is unfathomably horrifying, yet realistic enough to be plausible. Set in the near future in a time when there is untold pollution, hover cars, and technological “advances” that can alter human and animal brains, The House of the Scorpion creates a world that is just believable enough to be what we might expect in the future. One of our favorite books for 12-year-olds, as well as for younger readers, and adults. Gary Paulsen is brilliant. I teach writing classes to writers of all ages—from elementary schoolers to adults—and one of the tips I give my students is to create likable memorable characters and then have bad things happen to them. Each time something goes wrong for your character, a part of his or her personality is revealed. 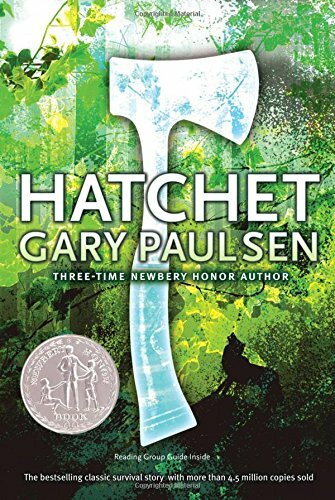 In his 1987 Newberry honor book Hatchet, Gary Paulsen proves himself a master at having bad things happen to good people. Well, one good person anyway. Thirteen-year-old Brian Robeson is on his way to visit his father in the oil fields in Canada when the pilot of the Cessna 406 bush plane has a heart attack. It’s the smell Brian notices first. But the pilot, who is clearly in pain, is too polite or inhibited to say anything. He dies in the cockpit, right next to Brian, without giving Brian instructions on how to control the plane. Surviving a crash landing is just one of the many horrible, sometimes unspeakably horrible, things that young Brian endures in Hatchet. His first night in the wilderness he is swarmed by hungry mosquitoes. Later in the book Brian is attacked by a wild animal. With nothing but the tattered clothes on his back and the hatchet his mother gifted him, Brian Robeson fights to find food, build a shelter, and survive the sometimes hostile wilderness. Even if your 12-year-old reader is an indoorsy kind of kid, he or she will love this adventure story. Another on our list of great books for 12-year-olds. Loosely based on a true story of a young white boy who is left in Maine alone for the summer and befriended by an Indian and his son. A good-for-nothing white stranger steals Matt’s gun. He has no parents to help him, no gun to protect him, and no way to shoot game if he runs out of food. Enter Attean, a boy from the Beaver clan. 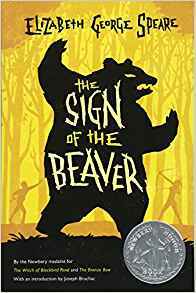 The Sign of the Beaver is a brilliant, touching, compelling, well written, lovely book about a 13-year-old named Matt and his struggle to survive. Poor Anne (with an “e”), a child from the orphan asylum who is completely alone in the world, wearing an ill-fitting wincey dress, and eagerly hoping she has found a home with a middle-aged brother and sister: the stern and proper Marilla Cuthbert and the desperately shy Matthew Cuthbert. But the Cuthberts had requested a *BOY* to help them work on their farm, not a redheaded freckled young girl who doesn’t know how to hold her tongue. Anne Shirley must surely have been born under an ill-fated star. As she tries to find a place for herself in Avonlea, a settlement on Prince Edward Island, often the only help she has is her own imagination. 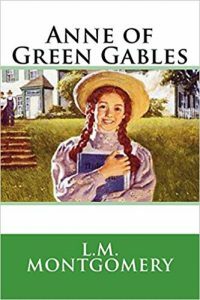 Anne of Green Gables is as well written as it is compelling and heart warming. The descriptions of nature are charming. The ending both triumphant and terribly terribly sad. What were your favorite books for 12-year-olds? What were your favorites when you were twelve? We’d love to hear your thoughts about best books for 12-year-olds (or kids at any other age) in the comment section below. Those are great titles. Another wonderful book for kids is Ginger Pye, about the adventures of two kids from a quirky family who a buy a dog that is stolen, and how they get her back. I funny, witty, mystery. Great read aloud. Thank you for this! Some of these are old favorites and others are ones I need to add to our list to read. I’m always looking for new books so can’t wait to snag some of these!